In a letter dated November 10, University Grants Commission (UGC), the higher education authority, has asked 123 Deemed-to-be-Universities to drop the word 'University' from their names. 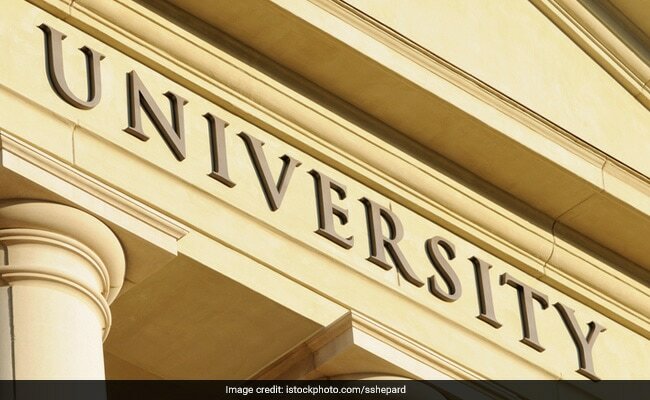 New Delhi: In a letter dated November 10, University Grants Commission (UGC), the higher education authority, has asked 123 Deemed-to-be-Universities to drop the word 'University' from their names. The letter cites a Supreme Court order dated November 3, 2017 and says that the use of word 'University' by Deemed-to-be universities is in violation of the Section 23 of the UGC Act. The court has asked Deemed to be Universities to stop using the word within one month of the issue of the Court order. The Supreme Court had also said then that no deemed-to-be-university can run open and distant learning courses from the next academic year (2018-19) unless it is permitted to do so by the concerned authorities. "We restrain all deemed-to-be-universities to carry on any courses in distance education mode from the Academic Session 2018-2019 onwards unless and until it is permissible to conduct such courses in distance education mode," a bench of Justice Adarsh Kumar Goel and Justice Uday Umesh Lalit ruled. The Section 23 of the UGC Act, 1956 says, "No institution, whether a corporate body or not, other than a University established or incorporated by or under a Central Ac[ a Provincial Act or a State Act shall be entitled to have the word "University" associated with its name in any manner whatsoever." With this order, prominent institutes like Indian Agricultural Research Institue (PUSA), Jamia Hamdard , National University of Educational Planning & Administration (NUEPA), Birla Institute of Technology (Mesra), Christ University, Chinmaya Vishwavidyapeeth, Gokhale Institute of Politics & Economics (Pune), SYMBIOSIS International University (Pune), Tata Institute of Fundamental Research (Mumbai), Tata Institute of Social Sciences (Mumbai), Amrita Vishwa Vidyapeetham (Coimbatore) and Vellore Institute of Technology (Vellore) will no longer be able to use the word 'University' in their names.